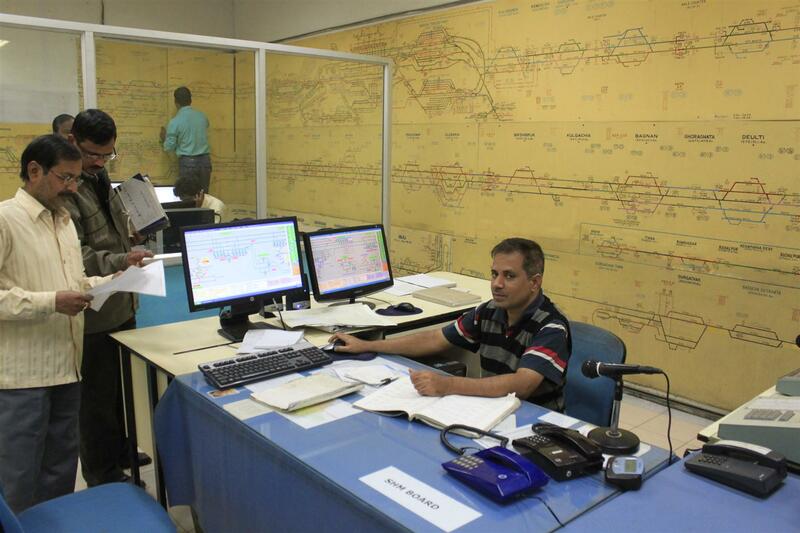 Control room after receiving Accident information. 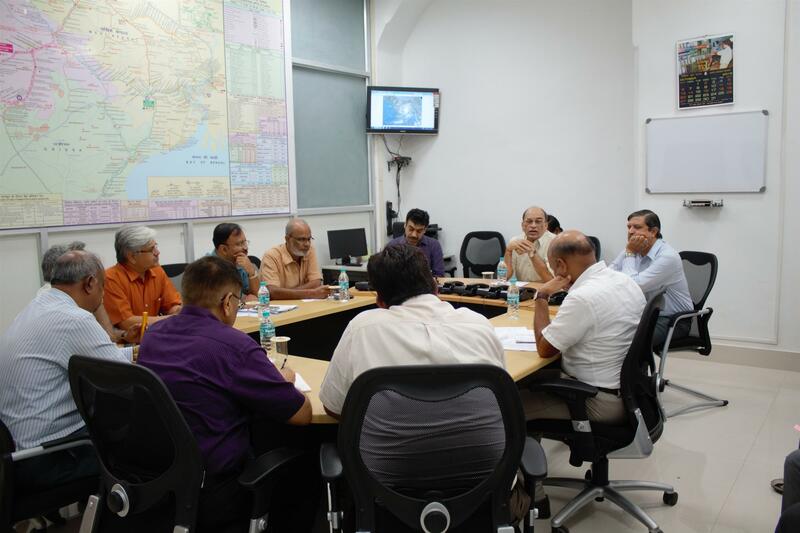 Senior Railway Officers at Disaster Management Room - Garden Reach to monitor rescue operation. 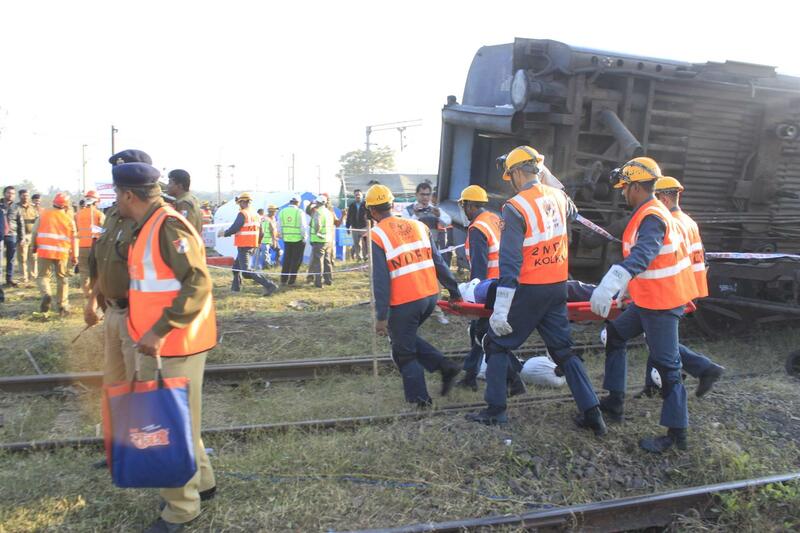 ARMV/ART rushed to the accident spot. 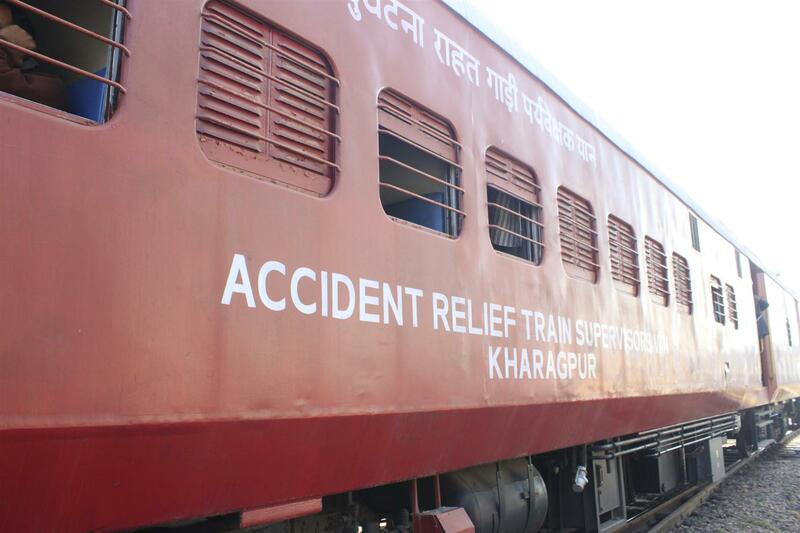 Railway team started the rescue operation. 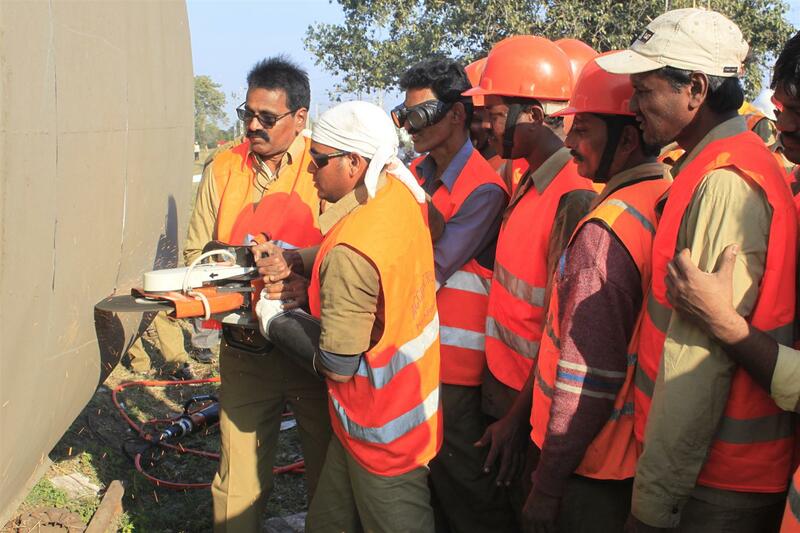 Rescue work in full swing. 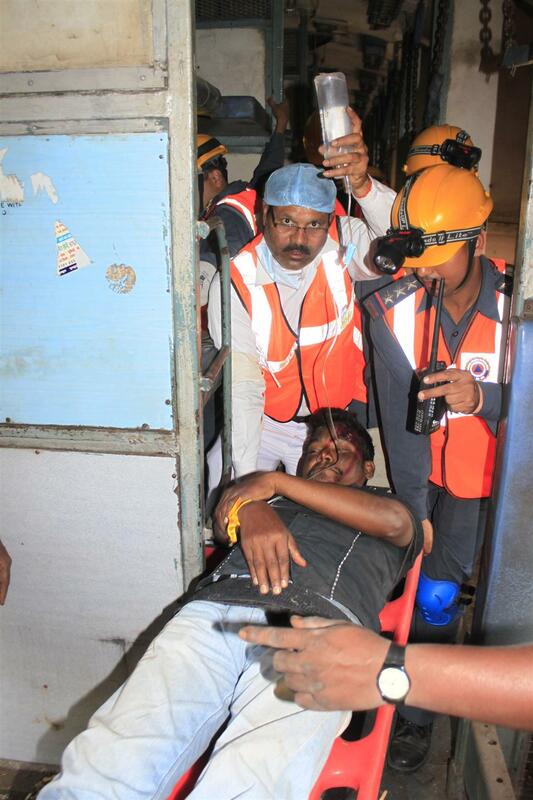 Rescue work in full swing. 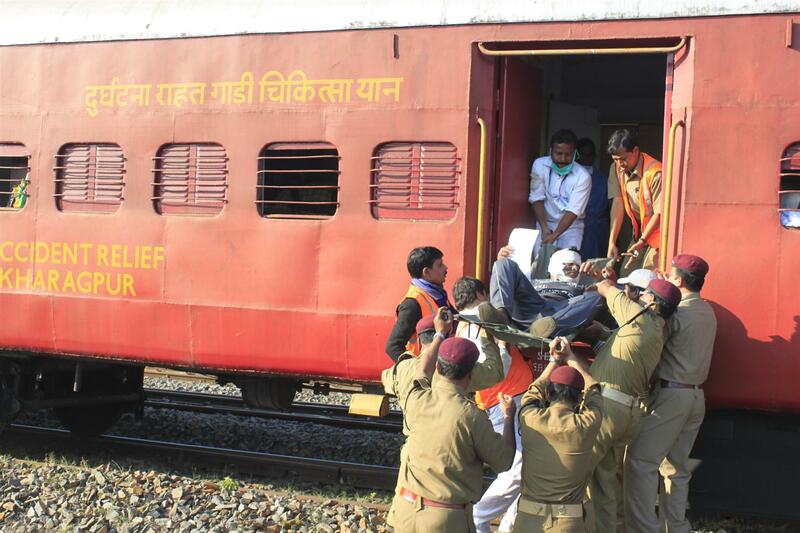 Injured is being treated in ARMV. 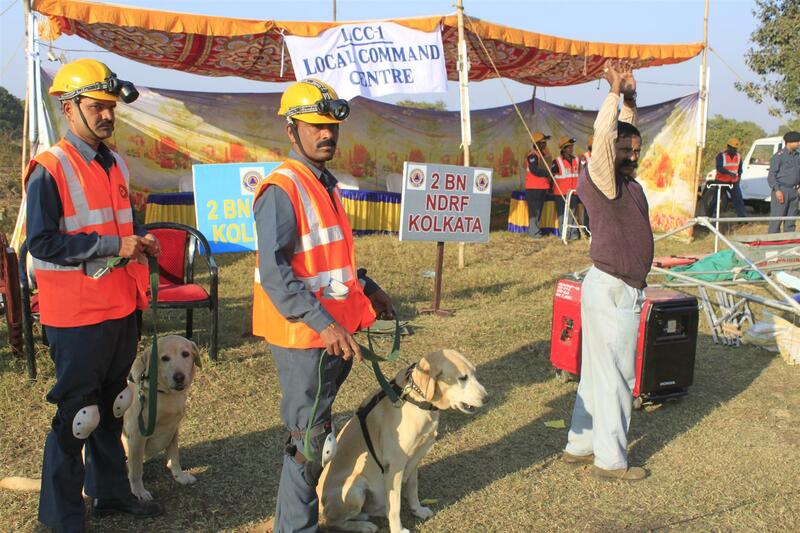 Sniffer dog is being used to detect trapped person. 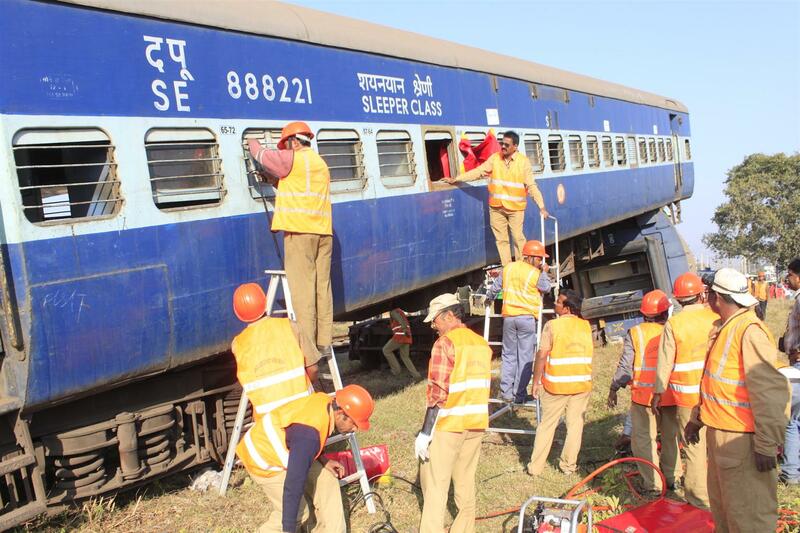 NDRF team in rescue operation. 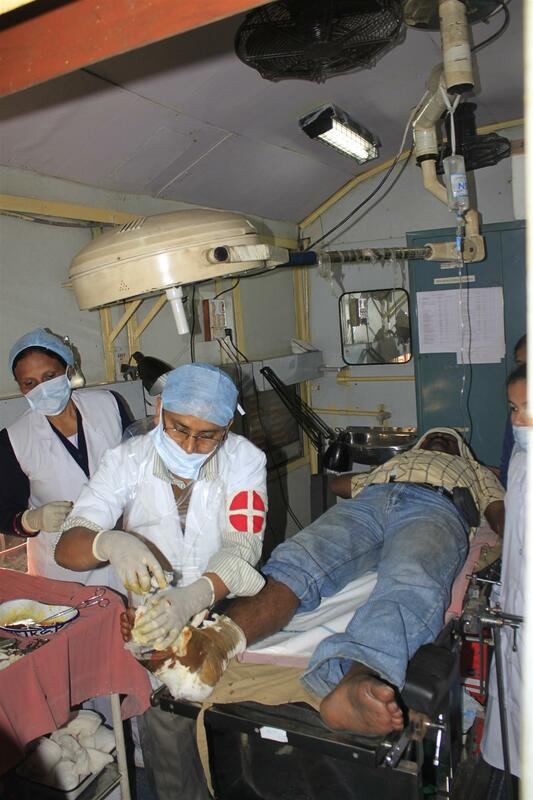 Critically injured is being treated in ARMV operation theater. 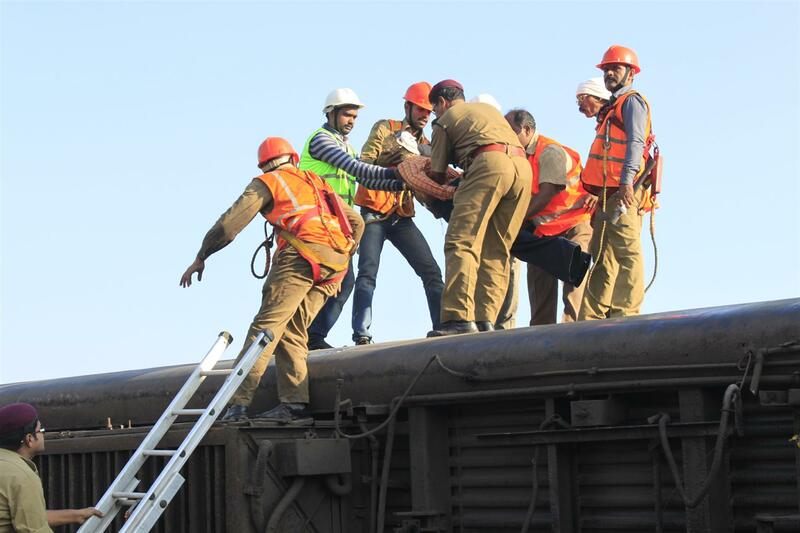 NDRF team in rescue operation. 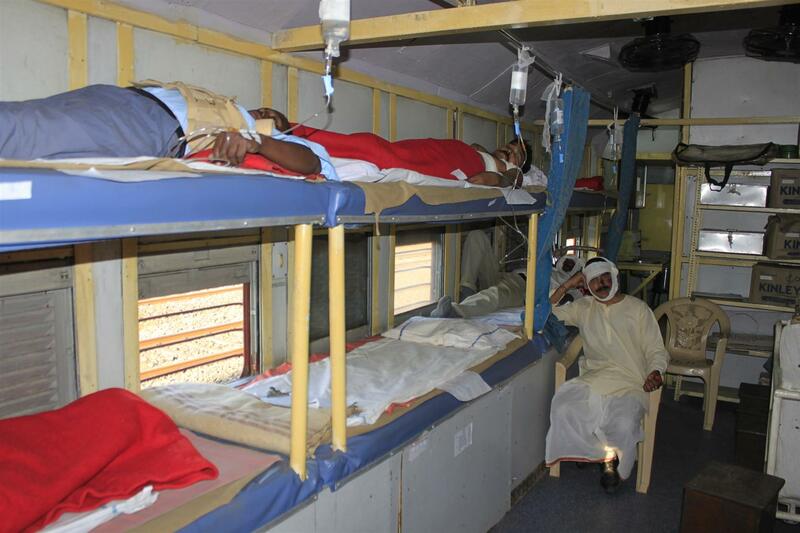 Hospital on wheel - ARMV. 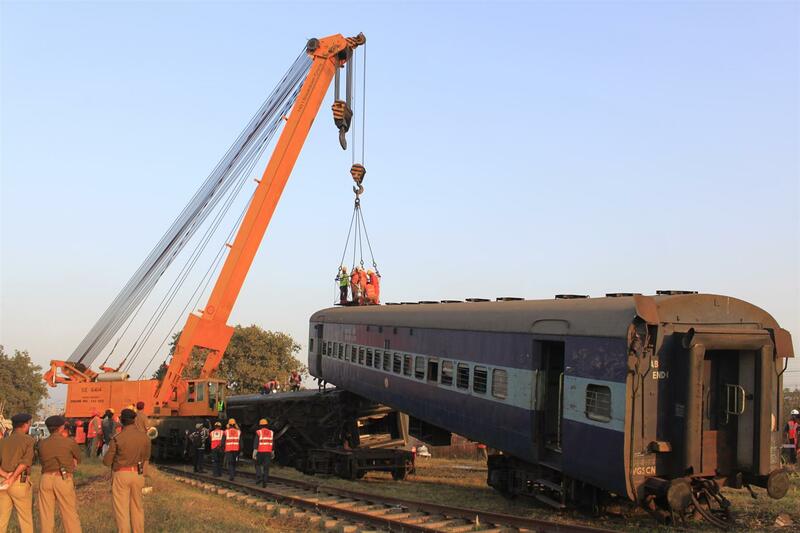 140 T crane is being used in rescue operation. 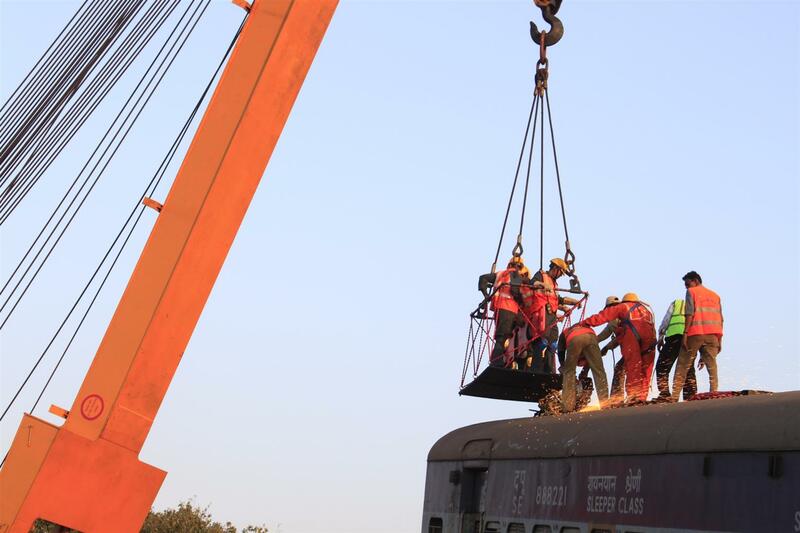 140 T crane is being used in rescue operation.